Dedh Ishqiya is an upcoming Bollywood comedy thriller film directed by Abhishek Chaubey starring Madhuri Dixit, Arshad Warsi, Naseeruddin Shah, and Huma Qureshi in the lead roles. 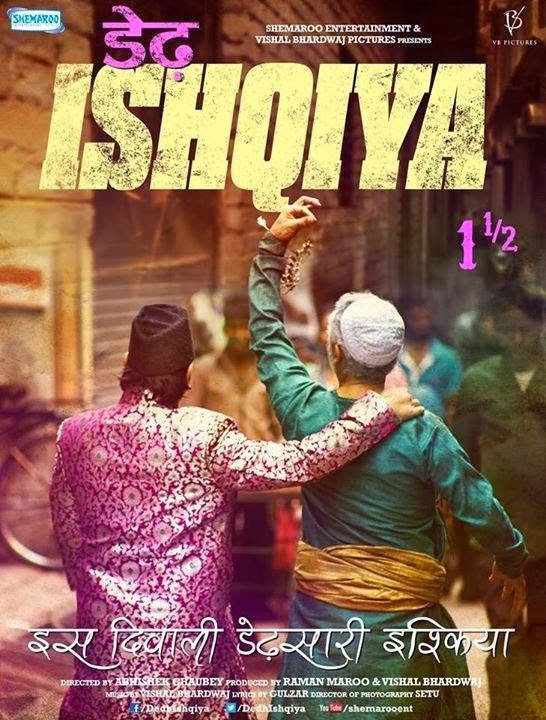 It is a sequel of Ishqiya and is produced by Raman Maroo and Vishal Bharadwaj. Release date: January 31, 2014.